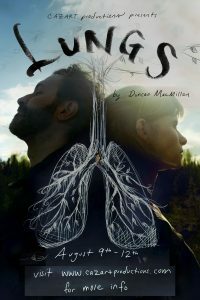 Professional actors and teachers Shelley Virginia and Ty Hewitt are starting a new theatre company in Anchorage called Cazart Productions (ku-‘zart) and will be presenting their premier production of Duncan MacMillan’s Lungs in August. Today, both Ty and Shelley drop by Stage Talk to give us some background on the company and their plans for the future. ORIGINAL BROADCAST: Friday, June 8 at 2:45 p.m.